Keegan Whaling, 20, of Valparaiso, went missing in late October 2017 when his boat capsized in a lake in northwest Indiana. VALPARAISO, Ind. 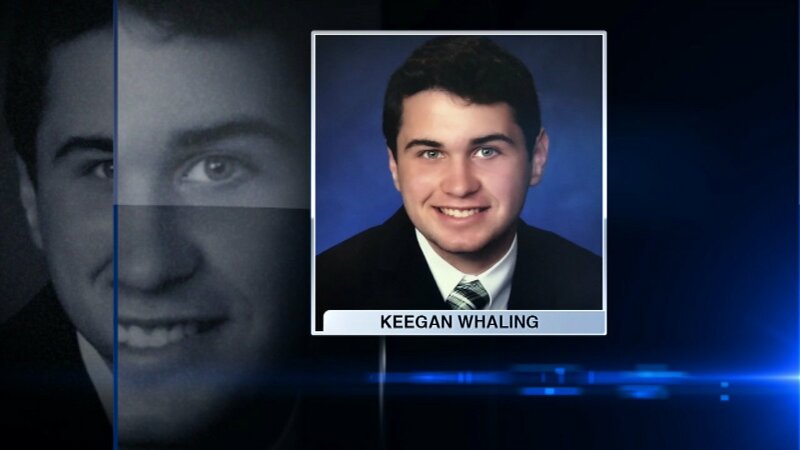 (WLS) -- The body of 20-year-old Keegan Whaling was found Sunday afternoon in Long Lake in northwest Indiana, weeks after his boat capsized in the lake, according to the Porter County Coroner's Office. Whaling went missing Oct. 29 while canoeing at about 7 a.m. His friend was able to swim to shore to call for help, however Whaling never made it back to the 48-acre lake's shore. The Indiana Department of Natural Resources has said no foul play is suspected. Whaling and the friend were not wearing or in possession of life jackets when their boat capsized, Indiana officials said. The body was discovered by Crossman Consulting shortly after noon Sunday in the north end of Long Lake, about 60 yards from shore and in about eight feet of water. An autopsy is scheduled for Monday morning. Last week, the state DNR contacted Tom Crossmon, of Minnesota, who had sonar device and a remote-operated vehicle capable of retrieving a body. The (Northwest Indiana) Times reported that Whaling's friends were raising $5,000 to cover Crossmon's expenses.